Ryan Homes built in Braemar have a lot of variety in size and finishes. 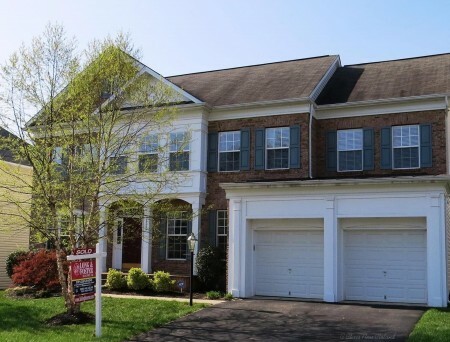 There are very modest Ryan Homes in the neighborhood, very much like a Heritage Series home by Brookfield, and some grand ones that easily compete with Brookfield’s Arista Series and NV Homes. With that concept in mind, let’s take a look at the resales of Ryan Homes in Braemar for the months of March and April. There were four Ryan Homes that sold during that time period. Their final sales prices ranged from $425,000 to $545,000. That’s a reflection of the size of the homes. We had some more modest Ryan Homes sell and some bigger ones. The average of all four gives us our new average market value for Ryan Homes in Braemar of $491,500. That’s over a 17.5% increase since last report, and looking back one year ago, it’s a 26% increase in value. Does that mean your Ryan Home has shot up 26% in value since last year? No. We are averaging all Ryan homes together. But given the demand in the Braemar market, I think it’s safe to say everyone in the neighborhood has had some very nice appreciation since last year. If you placed your Ryan Home on the market, priced to current conditions in Braemar, you could expect it to be under contract in less than a week—an average of 4 days to be exact. Single family homes in Braemar are in demand. You could also expect that a buyer may ask for an average of $1,850 in closing cost help. The next Braemar Property Value Report will be out in July and will detail sales from May and June. Until then, if you want to know your specific home’s value in today’s marketplace, call me for your free market analysis. I’ve been a full-time real estate agent and Braemar home owner since 2005. I can get you the most money in the shortest amount of time when you sell your Braemar home. No One Knows Braemar Better! Summer may not be officially here in Braemar, but it sure does feel like it with the Braemar pools having opened on Memorial Day weekend. I bet the kids just wiggle and squirm in their desks at school, itching to get and call the school year done. While the kids are looking forward to summer, we are looking backward. This Braemar Property Value Report is looking back to NV Home resales in Braemar in March and April. During March and April, there were three NV Homes that were sold. Their final sales prices ranged from $460,000 to $500,001. The average of all three gives us our new average market value for NV Homes of $480,000. Since there were no NV Homes that sold last report, we don’t have a comparison to last report. However, I did pull the numbers for the same time period last year and there was only one that sold during this same period last year, and it sold for $464,900. If we used that value as our average, this report’s average would be over a 3% increase. If you placed your NV Home on the market, priced to current conditions, this report indicates it would be under contract in about one month’s time. You could also expect a buyer to ask for an average of $1,000 in closing cost help. The reality is, only one of the three NV Homes that sold in March and April gave any closing cost help. The next Braemar Property Value Report will be out in July and will detail sales from May and June. Until then, if you want to sell your NV Home, give me a call for a free market analysis of your home’s specific value. I’ve been a full-time real estate agent and Braemar home owner since 2005. I can get you the most money in the shortest amount of time when you sell your Braemar home. No One Knows Braemar Better! Hope everyone that wanted to was able to enjoy this grand opening weekend of the Braemar pools. I know the kids in the neighborhood are super excited about it, and a good number of adults too. Me, I’m far too pale to be out at the pool during the day. I enjoy our adult swim nights, but right now, it is time to go through another Braemar Townhouse Report. Let’s see what happened in March and April in terms of Braemar townhouse sales and what that meant to value. All told, there were eight Braemar townhouses that sold. 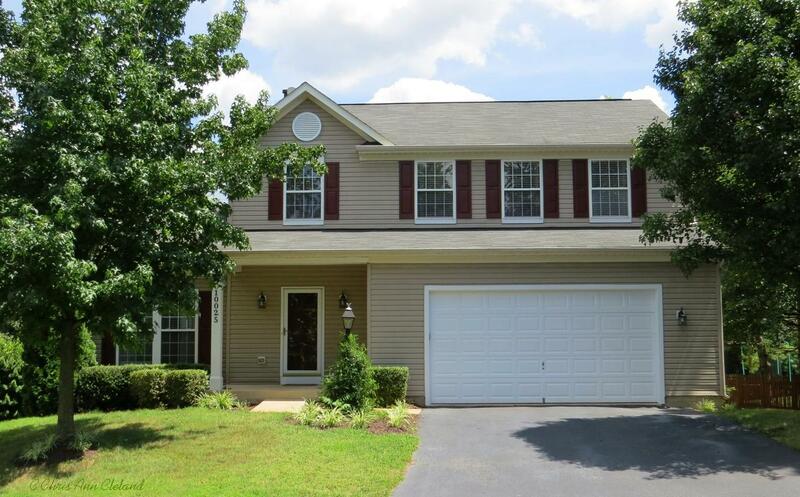 Final sale prices ranged from $250,000 to $295,000. The average of all eight sold prices gives us our new average property value for a Braemar townhouse of $270,625. If you follow this report consistently, you will note that is a huge difference compared to our last average value of $306,400, or over an 11.5% decrease since last report. Year to year, it’s a decrease of over 2.5%. So what’s going on? Well, I see on this particular report that the majority of townhouses that sold were smaller than those that sold last report. That makes a difference. And this is just an average. Doesn’t mean your specific Braemar townhouse lost over 11.5% in two months time. If you placed your Braemar townhouse on the market, priced to current conditions, you could expect it to be under contract in about three weeks. You could also expect a buyer to ask for an average of a little over 1% of the sales price in closing cost help. The next Braemar Townhouse Report will be out in July and will detail sales from the months of May and June. Until then, if you are interested in selling your Braemar townhouse, call me for a free market analysis of your specific home’s value. I’ve been a Braemar home owner and full-time Bristow Real Estate Agent since 2005. I can help you get your Braemar home sold quickly and for the maximum amount of money. No One Knows Braemar Better! Please feel free to join my neighborhood Facebook group, BRAEMAR (Bristow,VA.) I started the group to have an easy access point for these online Braemar Property Value Reports. However, you can start any neighborhood conversation you like to there. When neighbors talk, good things happen. My favorite being connecting lost pets with their owners. Memorial Day weekend 2014 has been fantastic in Braemar. I took a walk the other day and loved the smell of the hot dogs and hamburgers wafting through the air. Of course, I’ve been working most of the weekend, but I’m hopeful the weather will continue to be as perfect tomorrow when I get my down time. There were three Yardleys that sold in March and April. Yardleys are the most prevalent of the Heritage Series homes in Braemar. Their sale prices ranged from $388,500 to $458,233. The average of all three gives us our new average market value for Braemar Heritage homes of $429,578. That’s nearly a 1.5% decrease in value since last report, but an increase of 3% since last year. Heritage Series values are stable. If you placed your Yardley, or other Heritage Series home on the market, priced to current conditions, you could expect it to be under contract in an average of under three weeks. You could also expect to assist a buyer with an average of 2/10th of 1% of the sales price in closing cost help. Seems the bigger the house, the less we are seeing closing cost assistance. First time buyers are still in need, but move up buyers, like those purchasing Heritage Series homes are able to compete for homes by not asking for that help. The next Braemar Property Value Report will be out in July and will detail sales from May and June. Until then, if you want to know your specific home’s value, call me for your free market analysis. I’ve been a full-time real estate agent and Braemar home owner since 2005. I can get you the most money in the shortest amount of time when you sell your Braemar home. No One Knows Braemar Better! 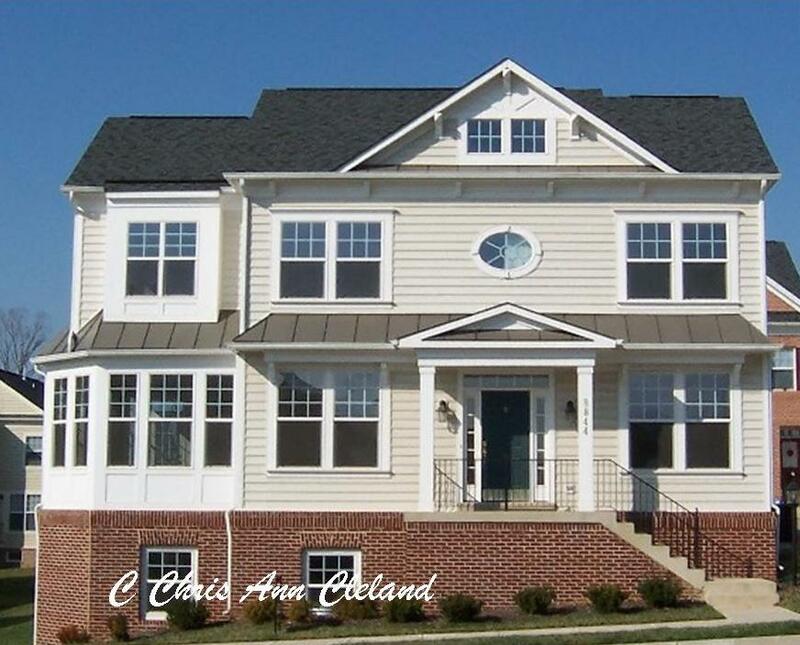 Come join my own Braemar neighborhood Facebook group: BRAEMAR (Bristow,VA.) I started the group as an easy way to disseminate these property reports, but you can start any neighborhood conversation you like there. It is Memorial Day weekend and the weather is gorgeous in Braemar. Got out for a walk in our neighborhood today and ended up helping a wayward elderly dog back home. He got out because the gate to the fenced yard was open. Oops! Remember to close your gates. This Braemar Property Value Report will take a look back at March and April in the Courtyard Series sales. Braemar Courtyard homes are any one of three different models that share a private courtyard driveway and have very small yards. Models include the Arlington, Ballston and Clarendon. There was only one Braemar Courtyard home that sold between March and April. 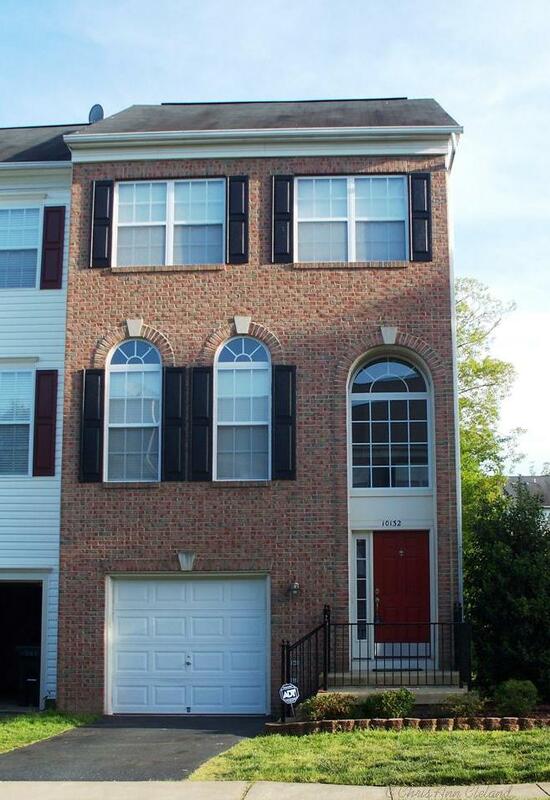 It was an Arlington model that listed for $405,000 and sold for $390,000. Taking that sold price and using it as our new average market value, average values were down over 1% since last report, but up 24% since last year. If you placed your Braemar Courtyard home on the market, priced to current conditions, you could expect it to be under contract in about two months. You could also expect a buyer to ask for some closing cost assistance. This seller gave about 1/2% of the sales price in closing cost help to their buyer. The next Braemar Property Value Report will be out in July and will detail sales from May and June. Until then, if you are thinking of selling your Braemar home, give me a call for a free market analysis. I’ve been a Braemar resident and full-time Bristow Real Estate Agent since 2005. I can get your Braemar home sold as fast as possible, and for the most amount of money. No One Knows Braemar Better! Feel free to join my neighborhood Facebook group, BRAEMAR (Bristow, VA.) You can start any neighborhood conversation you like to there. I started it as a place to easily spread the information from these property reports, but I love to see neighborhood interaction there. In photographing a new Braemar Carriage home listing the other day, I think I finally realized what makes these homes so charming. It’s the white picket fence. 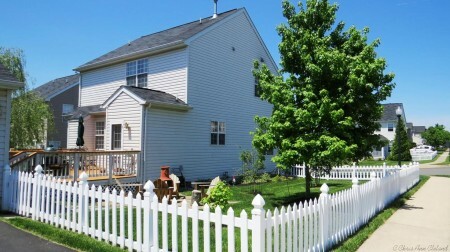 White picket fences surround the daydreams we have of perfect suburban homes. The covered front porches, on the Carriage homes that have them, don’t hurt either. It is time for another Braemar Property Value Report, looking back to the months of March and April 2014. This particular report focuses on the vaule of Braemar Carriage homes. Carriage homes are characterized by the lack of an attached garage. Rather, they have detached garages, if they have a garage at all. Some Carriage home buyers opted to not have that detached garage, but an asphalt parking area instead. The floor plans, from smallest to largest, are: Maplewood, Norwood, Oakdale and Parkdale. During the months of March and April, there were three Carriage homes that sold in Braemar. The only floor plan that didn’t see a sale was the Norwood. 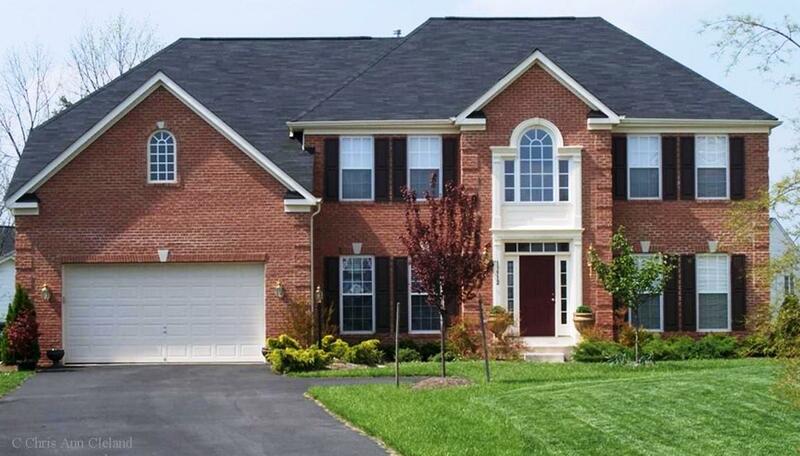 Sales prices ranged from $259,799 to $400,000. The average of all three gives us our new average market value for Braemar Carriage homes of $310,600. That means over an 18.5% decrease in average values since last report, and and a decrease in average value of nearly 12.5% since last year. Rest assured. There is no reason to panic. Two of the three sales were unusually low values. The Maplewood that sold didn’t have a finished basement and sold for $272,000. 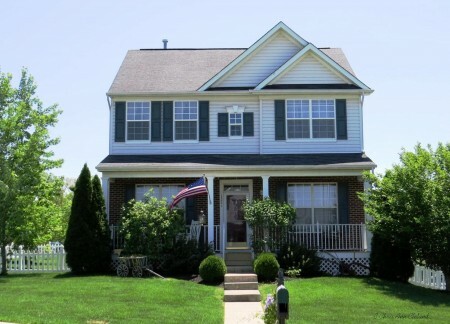 The Oakdale that sold was a distressed sale in poor condition and also didn’t have a finished basement. It sold for $259,799. I expect to see large increases in average value next report to bring us back to that more consistent pricing we are used to in the Carriage home resale market. If you placed your Braemar Carriage home on the market, priced to current market conditions, you could expect it to be under contract in an average of 58 days. Being out in the market, I think the Maplewood marketing time was 133 days is throwing his off. You’d be more likely to see your home under contract in 2-3 weeks. This report also indicates that you could expect to pay an average of $4,000, or just under 1.3% of the average sale price, in closing cost help. The next Braemar Property Value Report will be out in May and will detail sales from March and April. Until then, if you are thinking of selling your Braemar Carriage home, give me a call for a free market analysis of your specific home’s value. I’ve been a Braemar resident and full-time Bristow Real Estate Agent since 2005. I can get your Braemar home sold for the maximum amount of money in the shortest period of time. And most importantly…No One Knows Braemar Better! Spring finally seems to have hit Braemar. I looked in my garden the other day and saw purple flowers that seemed to have bloomed overnight. Hopefully it won’t get too hot too quickly, but at least you don’t have to shovel heat. This is the Braemar Property Value Report for homes in the Arista Series by Brookfield Homes. These were the largest homes built by Brookfield and there were three floor plans from which to choose: Allister, Buckingham and Canterbury. Only one Arista Series home sold and that was a Canterbury with four bedrooms and three and a half bathrooms and an unfinished basement. It was my very own listing so I can tell you the reason that it was under contract before it ever hit the market. It was planned to list at $525,000 and sold for that very price. Using that value as our average property value market for this report, we can say that values in this type of home are up nearly 10.5% since last year. There’s no month to month comparison because there were no sales last report. If you placed your Allister, Buckingham or Canterbury on the market priced to current conditions, you could expect to go under contract quickly, though maybe not in zero days. You could certainly also expect a buyer in this price range to not need closing cost assistance. The next Braemar Property Value Report will be out in July and will detail sales from May and June. Until then, if you are thinking of selling your Braemar home, call me for a free market analysis of your specific home’s value. I’ve been a Braemar resident and full-time Bristow Real Estate Agent since 2005. I know our local market and how your home fits into it. No One Knows Braemar Better! If you want to be a member of a neighborhood Facebook group that will always allow links to these reports, please join my new Braemar Facebook group. While you’re there, start a conversation with your neighbors or maybe even help a lost pet find its way back hone.